Living in England for the past four and a bit years I have come to really appreciate my roasted vegetables. 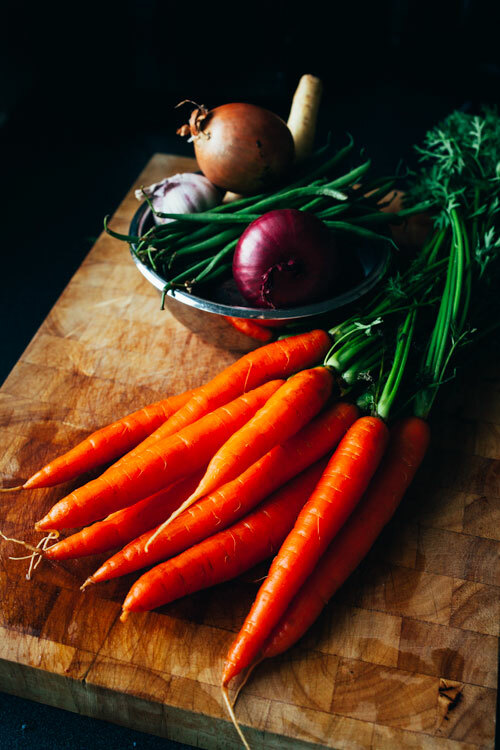 In addition to the appreciation it is also a great choice as they’re seasonal in the northern countries during the colder months of the year and because they grow here they’re also cheap. But most of all they are tasty and full of flavour and a given part of any Christmas feast! 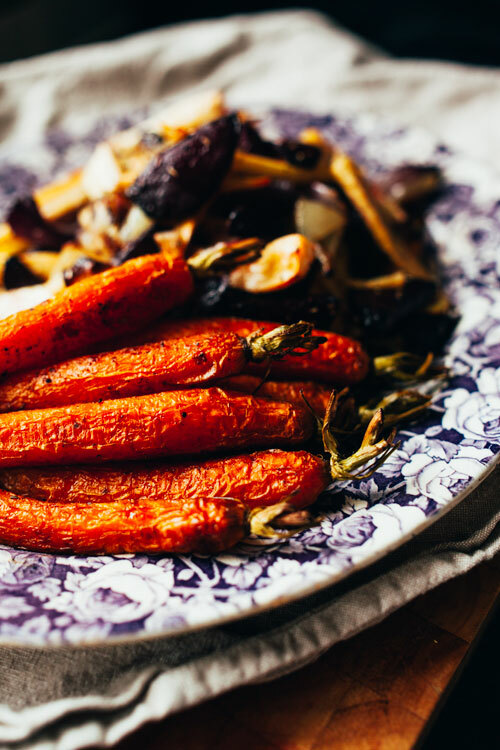 This post is really two recipes combined in one as I roast the carrots in cumin and maple syrup. I also separate the beetroot from the parsnips and onion until serving to keep from making everything red. Although they both have the same rosemary and sea salt seasoning. I like varying the herbs and spices added when making roasted veg to mix it up a little and differentiate between the veggies. If you don’t have the spices and herbs I use – simply make your own combinations. You can’t really go wrong in this! In Sweden we don’t include roasted veg as part of our Christmas dinner. Traditionally we only serve boiled potatoes and a mixture of boiled and stewed (in cream usually) vegetables. And these are more an accompaniment to all the different meat and fish dishes served. I enjoy creating these recipes dedicated to Christmas festivities much because what I explained is how most Christmas celebrations look in Sweden. I think it’s a good time right about now to change our habits and embrace and focus more on the plants available to us. This dish is easy to prepare and the oven will do most of the work for you. All you need to stride through is the peeling and chopping of the beetroots and parsnips but it will be over in a heart beat I promise! Serves roughly 4 people as a part of a meal. Active cooking time 20 min, total cooking time roughly 1h 20 min. Preheat oven to 200 degrees celsius or prepare to use a few clean oven trays. 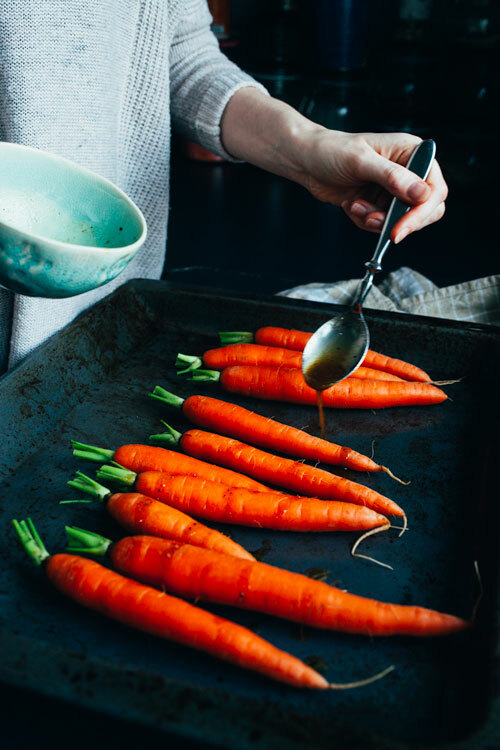 Clean carrots and remove stalks and leaves if needed and place on an oven tray. 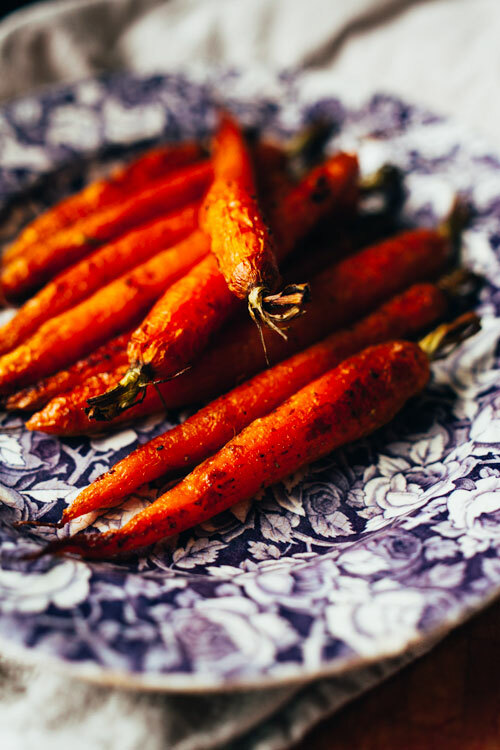 Mix spices, oil and maple syrup in a cup and spread across carrots and make sure they are covered. 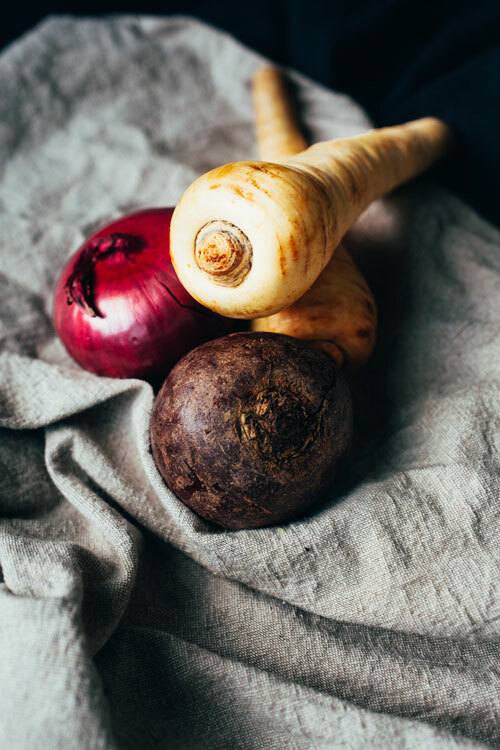 Peel parsnips, onion and beetroot..
Cut parsnips into roughly 5 cm stalks and divide each onion into 6 pieces. Cut beetroot in half and divide each half in 3-4. Place onions and parsnips on oven tray, drizzle with 2 tbsp olive oil and sprinkle with 2 tsp rosemary, salt and black pepper, mix until covered. 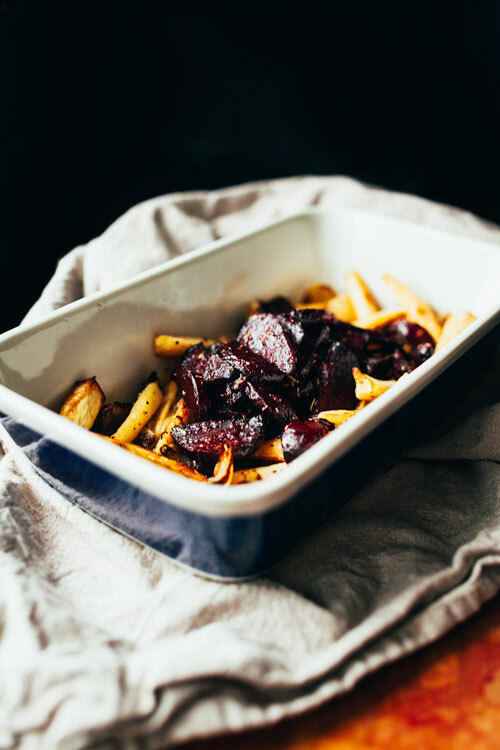 Place beetroot in oven tray, drizzle with 1 tbsp olive oil and sprinkle with 1 tsprosemary, salt and black pepper, mix until covered. Place all three trays in oven, mix every 15 min or so. If you’re oven heats unevenly you might need to move the trays around. After 4o min roughly the beetroot, parsnip and onions should be crisp and coloured and ready to come out. The carrots might take longer, up to 50 min or so depending on size. Enjoy as part of your Christmas or Sunday roast spread! 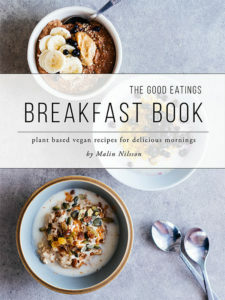 Subscribe for updates and receive the Good Eatings Breakfast Book for free containing 15+ recipes for delicious vegan mornings! @2016 - Goodeatings . All Right Reserved.